This Roasted Vegetable Pasta Salad is packed with oven-roasted veggies and tossed in a creamy, dairy-free sauce. It’s a complete vegan dinner, with 14 grams of protein per serving. The leftovers make a great packed lunch, too! 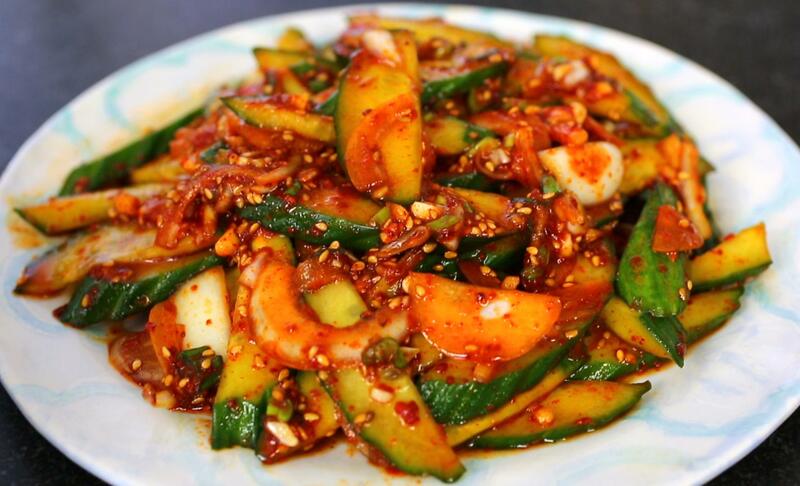 This recipe is easy to make, but has 3 components. First, you’ll toss some chopped vegetables with a little olive oil, salt, and pepper, then arrange them on a baking sheet and cook in the oven until tender. While the oven is taking care of the veggies, you can prepare your pasta on the stove top. I typically use brown rice pasta to keep this recipe gluten-free, but you can use any pasta you like and cook it according to the package directions. While the veggies and pasta are cooking, your hands are free to make the dressing! All you have to do is stir together a few ingredients you probably already have in your pantry, and drain a can of chickpeas so that they are ready to add in for extra plant-based protein and fiber. 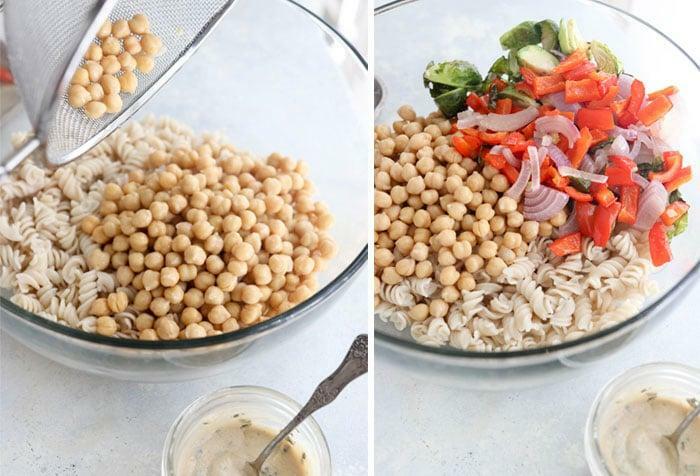 When the veggies and pasta are done, you simply add them to the bowl, along with the dressing and chickpeas, and toss everything together. I like to enjoy a portion right away while it’s still warm, but it’s also great later cold, straight from the fridge. I hope you’ll enjoy it! 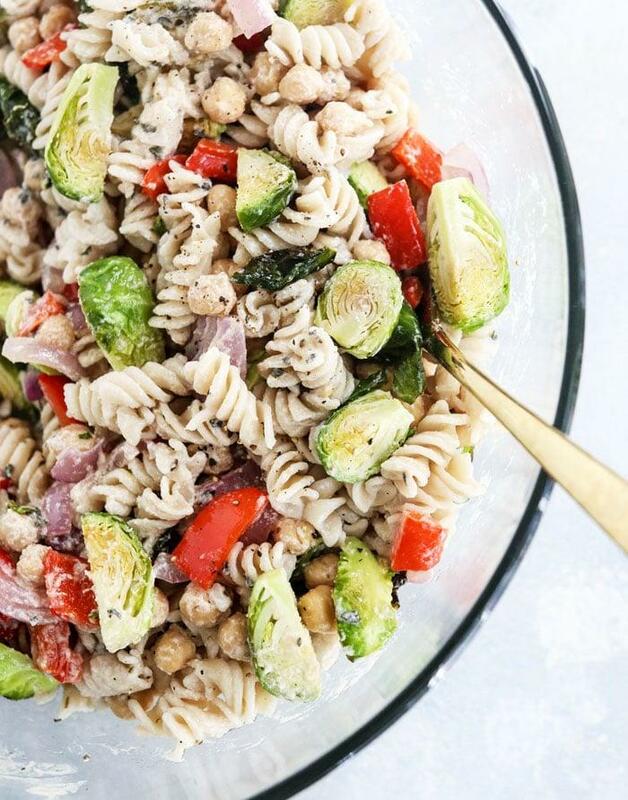 This Roasted Vegetable Pasta Salad is tossed in a creamy Italian dressing, for a flavorful veggie-packed meal. I love eating it warm or cold, as an easy vegan packed lunch! Preheat the oven to 400ºF. Toss the bell pepper, brussels sprouts, and red onion in 1 tablespoon of the olive oil, then arrange them in a single layer on a large baking sheet. Make sure the brussels sprouts are cut-side down on the pan. Season with salt and pepper, then roast in the oven until tender, about 25 to 30 minutes. Bring a saucepan of water to a boil over high heat on the stove, and cook the pasta until tender, according to your package directions. 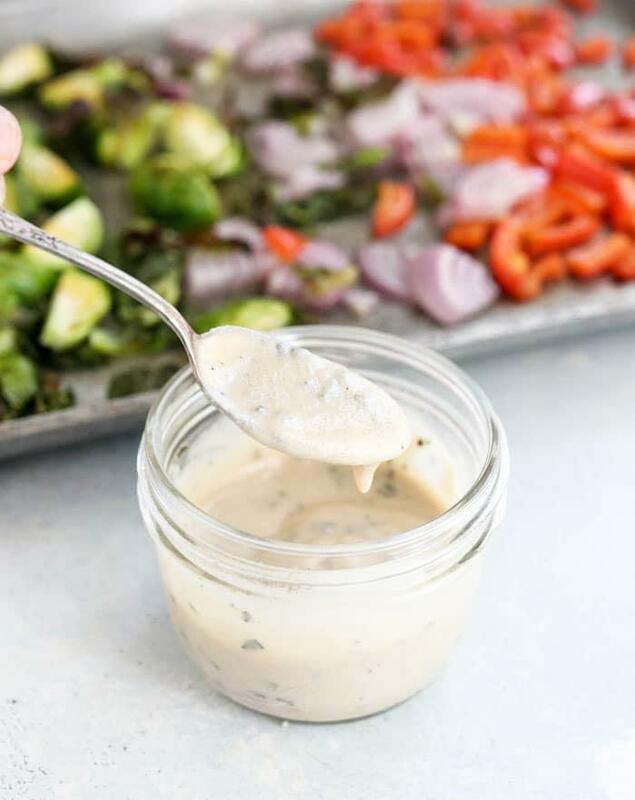 To prepare the dressing, combine the vinegar, the remaining 2 tablespoons of olive oil, tahini, garlic, basil, salt, and several grinds of black pepper. Stir well. Drain the pasta when it's ready, and remove the veggies from the oven. Toss them together in a large bowl, with the dressing and chickpeas, and adjust any seasoning to taste. Serve warm, or let it chill in the fridge for later. This pasta salad should keep well in an airtight container in the fridge for up to 4 days. For an oil-free recipe, you can use water to thin out the dressing and simply dry-roast the veggies on parchment instead. This recipe is easily adaptable to use any pasta or veggies you have on hand. Feel free to get creative! Reader Feedback: What’s your favorite way to enjoy pasta?